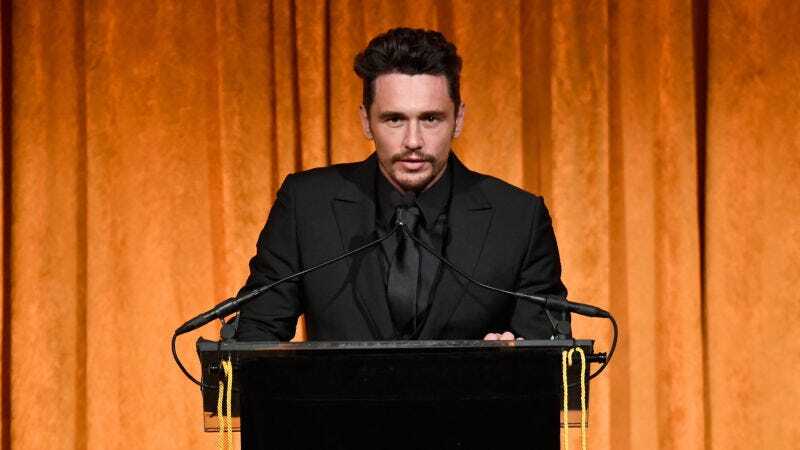 The Hollywood Reporter disclosed on Thursday that a mural painted by James Franco for the high school he attended has been effaced amid growing criticism over sexual misconduct allegations against the Disaster Artist auteur. The mural in question was reportedly painted in 2014, when Franco, who graduated high school in 1996, composed two murals and hung more than 20 paintings in his alma mater, the Palo Alto High School. Last week, the remaining mural (the other was replaced by student art in 2016) was painted over, a fact the Palo Alto Unified School District so generously confirmed to THR on Thursday. In January, five women accused Franco of inappropriate and exploitative sexual behavior. The “remaining artwork” cited above is reportedly already being “transitioned” from the space.